We have the lowest handling rate and guarantee execution in less than 60 seconds. Actinver Sa De Cv (previously called Actinver Casa De Bolsa), one of the most established stock brokerage companies in Mexico, started to use LANSA in 1991, when they moved from Data General to the AS/400 and redeveloped their internal brokerage system in LANSA. In 2000, when new regulations in Mexico recognized the Internet as a legal communication method between broker and customer, Actinver needed only 3 months using LANSA for the Web, to extend their brokerage system to the Internet, and became the first in Mexico to offer on-line stock trading. Today, using Visual LANSA, Actinver is still at the IT forefront offering their customers fast access and new facilities. Ricardo Hernandez Diaz, CIO of Grupo Financiero del Sureste, says "Bursanet, our on-line stock trading service, is 100% automated. We have the lowest handling rate in the industry and guarantee execution in less than 60 seconds. Bursanet attracts new domestic and overseas investors to the Mexican market. This has enormously contributed to create a market culture that is beneficial to the economy of our country and supports Mexican companies." 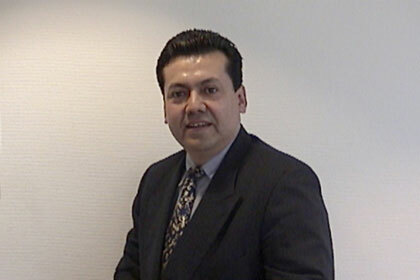 Ricardo Hernandez Diaz, CIO of Grupo Financiero del Sureste. Ricardo explains, "In 1996 we started with email and a static website on an NT server. We gradually added more web content including analysis reports, a product overview and maps for the location of our branches. Since 1998 clients could ask us for a user ID and password and could also download an encrypted account statement. Because of this we already had some eExperience in our company." "In 1998, our management gave directions that all the services that we were offering using the Internet must be free of charge or very cheap. This was our company goal. At the same time Bolsa Mexicana de Valores (BMV), the main Mexican Stock Exchange), was looking into using the Internet as a way to operate with stock brokers." "New capital market laws and stock trading regulations were published in February 2000 to be implemented on July 24 the same year. As part of these new regulations, the Internet was recognized as a legal access method between the broker and the customer, as well as between the broker and BMV. Stockbrokers would remain responsible for the traditional trading mechanisms, including validation of the customer, security of the financial source and the transfer of funds once the transaction has been executed." 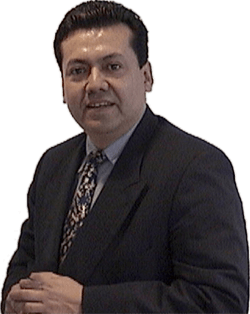 "Our internal brokerage system is written in LANSA," continues Ricardo "We have used LANSA since 1991, when we moved from Data General to the AS/400. We ported our existing C and SQL application, but for all new development we used LANSA. For us, not having any AS/400 or RPG skills, LANSA was easy to learn. Now 95% of our applications are in LANSA. Only a few special money market and date functions are still in C. LANSA just calls these C subroutines and integrates easily." Ricardo explains that Actinver was able to quickly meet the new regulations and be the first broker to offer trading over the web, "In March 2000 we started to change our LANSA based internal brokerage system to meet the new government regulations. Because we defined the majority of our business rules in the LANSA Repository, we only had to change 20 programs out of the 624 programs in our stock brokerage system, and create 10 new programs." "Once we finished updating our internal system, we decided to extend this internal system to the Internet with LANSA for the Web. Extending the AS/400 core system was far more logical and simple than introducing another web environment. More importantly, the AS/400 and LANSA had proven to be very reliable in a real-time stock trading environment." "Bursanet offers an electronic process between the client and the stock broker and between the broker and BMV. Customers set-up an account in the traditional way and receive a user-id and password. With that user-id customers can instruct us to buy and sell stock over the web, check the status of their account and get an overview of their recent transactions." "When we receive the buy and sell instructions from our customers, the same validations and procedures that we use in our internal system are executed. Once the buy or sell request is approved, we send the instructions electronically to BMV. The validations, processing and sending of instructions usually happen within 30 seconds. We guarantee execution within 60 seconds after the customer hits the submit button." "It was easy with LANSA to meet the changed regulations and extend the system to the web. In comparison we spend more time on the look-and-feel of the website and setting up the security infrastructure." Who could have dreamed nine years ago that we would use the same LANSA code for stock trading over the web. "Before we launched Bursanet we looked at on-line stock trading mostly as a way to improve our service to existing customers. However, the majority of our web customers are new clients." "Bursanet is attractive to a large segment of the market that had been ignored by the traditional stock broker. Because we only charge a minimal fee for opening an account and the lowest handling rate in the industry, stock trading has become within the reach of people who never before had the opportunity to invest in stock." "This has enormously contributed to create a market culture that is beneficial to the economy of our country and supports Mexican companies." "All this encourages us to continue to improve and develop new web services." "We have increased our operation volume and reduced the processing time and costs. Bursanet is completely automated and there is no human participation required at all. We have noticed a dramatic reduction in the time it takes to handle a transaction. Before it took us 30 minutes to process a transaction from start to end, now it takes only 30 seconds." "Initially some people in our company were worried about their jobs, but there are many other operations where they can add much more value to the process. It is a Win-Win for all." "Communications between broker and customer have improved over the decades by using telex, phone, fax, computers and now the Internet. I think that the Internet is the most natural means for the financial market, because it breaks the geographical barriers and offers the same opportunity for all the participants." "LANSA has evolved over time as well. Who could have dreamed nine years ago that we would use the same LANSA based programs to offer stock trading over the Web. LANSA played an important role then and continues to play a strategic role now in our company." Actinver Sa De Cv, established 1949, is a member of Grupo Financiero Del Sureste in Mexico. This group consists of Banco del Sureste S.A. (bank) and Actinver (broker house). Actinver was the first stock brokerage company in Mexico.